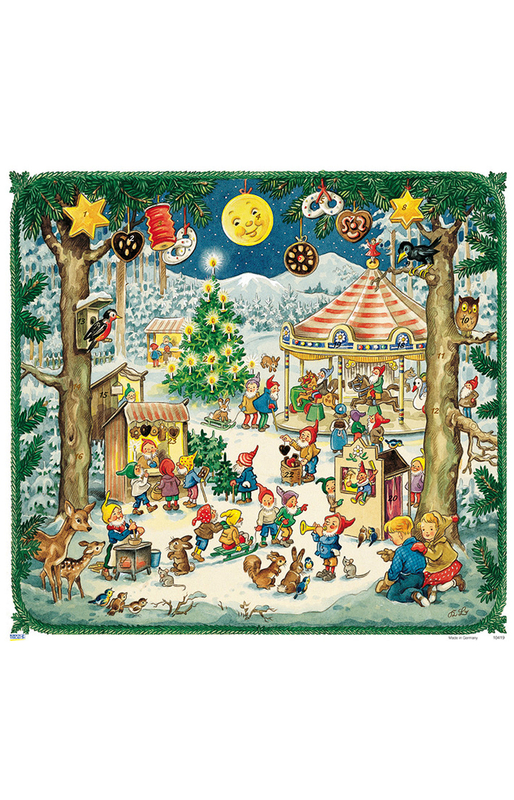 10419 - Advent Calendar - 11H x 12"W x .1"D"
10419 - Korsch Advent - Festival Elves - 11H x 12"W x .1"D"
Glitter-dusted Advent calendar - elves dancing and playing in forest. Made in Germany. Also see 10100 oblong version.